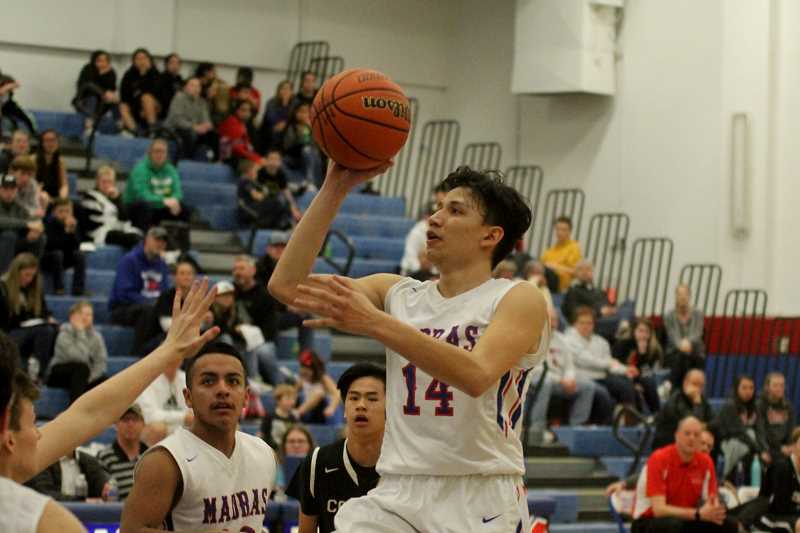 The Madras White Buffalo boys basketball team saw three players earn all-league honors this year. Senior Byron Patt was the lone Buffalo to earn first-team honors. Patt averaged 20.9 points per game, while making an incredible 96 3-pointers. Patt was able to increase his points per game average by 8.3 points from his junior season, when he averaged 12.6 points per game. Patt was a dynamic scorer with all the tools. The 6-1 guard handled the ball half of the time, using his quickness and athleticism to get to the rack. To go along with being able to drive to the hoop, Patt also showed his incredible range from behind the arc, setting the school record for made 3-pointers. 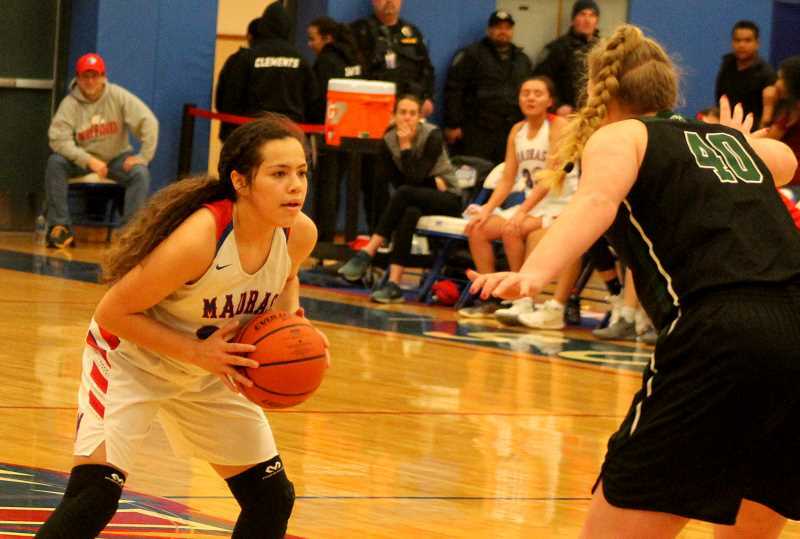 Junior Dapri Miller earned second-team honors for Madras. He averaged 10.8 points per game and was a sniper from deep. Miller hit 38 3-pointers and was able to get a shot off almost anywhere. Off the dribble, pull-up, coming off screens, Miller found ways to get his shot. Miller was also able to use his speed and vision to finish at the rim. Being a small guard, Miller used his ball-handling skills and vision to either create for a teammate or score. Junior Donnie Bagley was another all-around player that could score several different ways. Bagley was capable of getting hot from deep, but wouldn't be afraid to attack the rim. Bagley earned honorable mention for the Buffs, averaging 10.7 points per game, making 47 3-pointers. For the Lady Buffs, five girls earned all-league honors. Madras was led by sophomore Jayden Davis. Davis was a versatile scorer, able to sink the ball anywhere behind the arc. She also blew by defenders with constant hesitation dribbles and finishes at the rim. Davis averaged 12.4 points, 4.5 rebounds, and 3.7 steals. For her efforts, Davis earned first-team recognition. Junior Jiana Smith-Francis earned second-team honors, averaging 9.6 points per game, 4.5 rebounds, 2.9 assists, and 2.5 steals. Smith-Francis was good everywhere and regularly came up big when the team needed it. Three seniors earned honorable mention for the Lady Buffs. Vanessa Culps, Monika Stacona, and Jackie Zamora-Heath all played crucial roles this season. Culps averaged 11 points, 3.2 recounds, and 2.0 steals per game, Stacona 2.6 points per game. Speedster Zamora-Heath ended the season averaging 4.6 points, 2.6 rebounds and 1.9 steals per game.